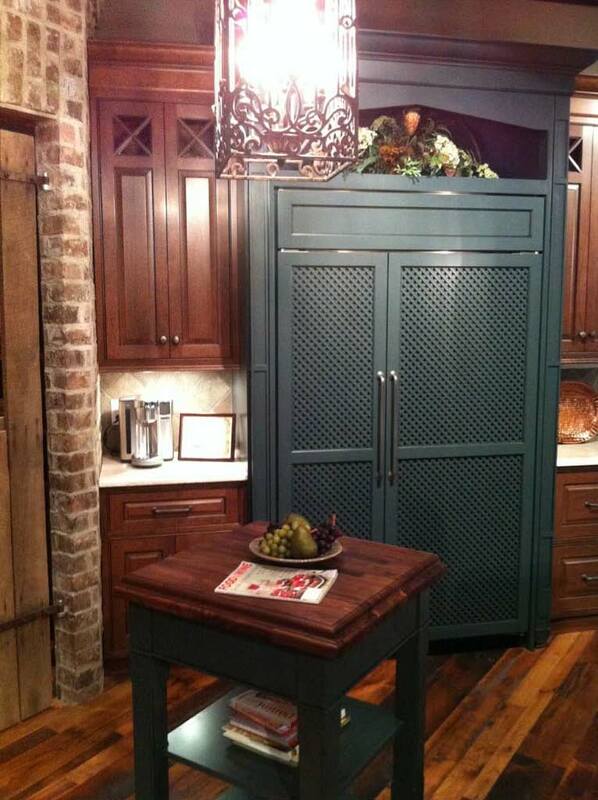 With the opening of a second showroom in 2011, Clay Leavell, owner of Kitchen Concepts in Lexington, Ky., has introduced “one of the most remarkable, innovative showrooms we’ve seen with our dealers involved in high end cabinetry,” says Josef Carlock of Grabill Dealer Development. 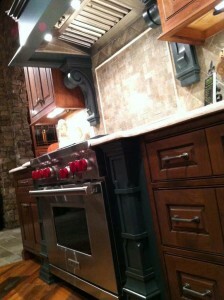 Clay bought Kitchen Concepts in 2004, and it has traditionally been a builder’s destination for cabinets. Now it boasts the largest and most comprehensive consumer friendly showrooms in the region. 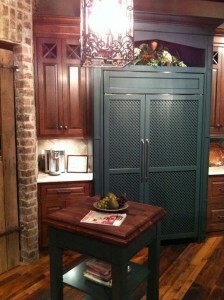 “Clay and his talented staff offer transitional styles that fit today’s generation of consumers. They have a diverse mix of woods, finishes and interior finishing materials put together with a high level of creativity,” says Josef. One example includes some beams from an old barn that were integrated into a brick and stone pantry that is surrounded by rustic kitchen cabinets, metal mesh doors and other primitive elements. These details help capture the look and simplicity of a country kitchen out of the 1920s, but with some creative twists, such as a large, decorative slate blue wood hood sandwiched between slanted-top cabinets that draw the eye to this stunning focal point for the home. 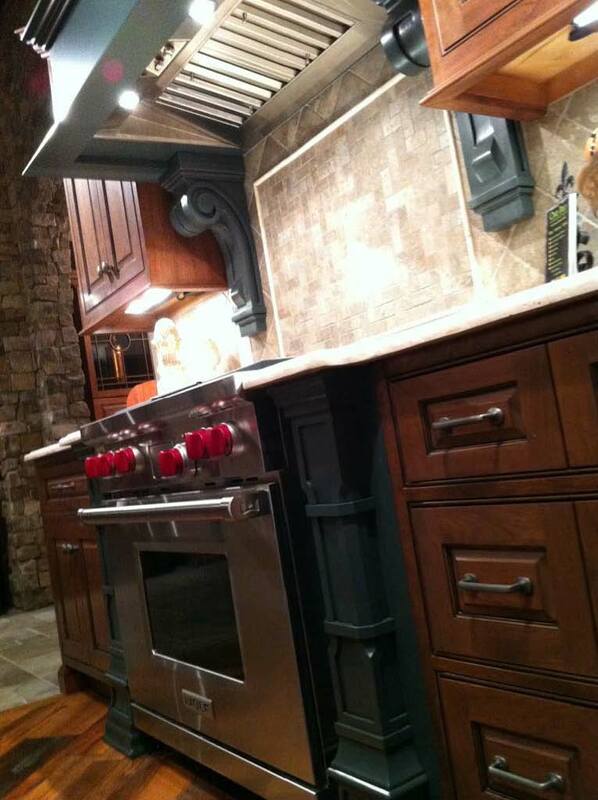 “Clay came to Grabill and said, ‘How can you help complement this design?’ Knowing that we can take a board and make it into anything, Clay and his team worked with our design staff to create the wood hood and other elements. You usually don’t see a dealer owner with a design skill at this level,” says Josef.